It seems we cannot quite put talk of a catch-weight Super Fight between Vasyl Lomachenko and Manny Pacquiao to bed. As fans know, this week Pacquiao got us all talking when he stated how he was “in negotiations” for a fight with pound for pound king Lomachenko; the weight of the fight being the big sticking point. But then, mere hours later, Lomachenko manager Egis Klimas shot down any notion of such a fight taking place or even being seriously discussed. Klimas called such a fight “insane” and it seemed the fight was no more and never really was in the first place. But now there is another twist in the story. 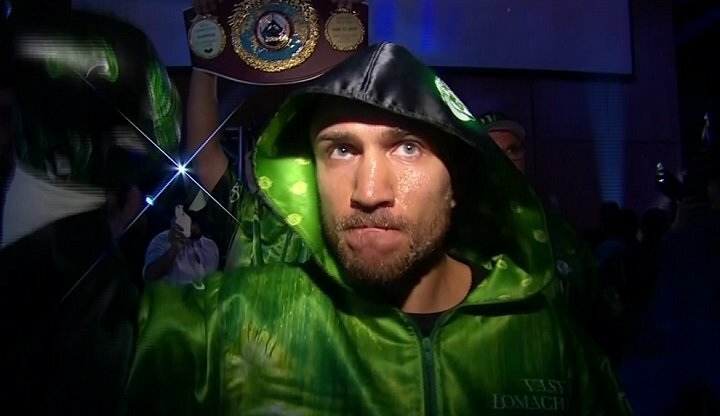 Lomachenko promoter Bob Arum, in speaking with The Las Vegas Review-journal, says he very much wants to stage the fight and that if Lomachenko’s father gives his son permission to fight as a 140 pounder, the fight can happen this fall in Vegas. Arum stated how Loma will next box again towards the end of April, more than likely as a 135 pounder, and that if his father approves it, Lomachenko can then face Pac Man up at 140. Freddie Roach, trainer of course of Pacquiao, likes the fight for Manny and it seems now as though it is up to Lomachenko Senior. So this latest twist takes us fight fans back to where we were a few days ago: asking and wondering what happens, who wins and how, should these two great fighters, who are at opposite ends of their career, actually meet. Who knows? This match-up could give us a classic, it could give us a farce, it could give us an embarrassment. Both men have speed – Pacquiao, even at age 39 still being fast – and both men posses a fine boxing brain. Could the weight he would be giving away to welterweight Pacquiao even out the youth advantage Loma has (Pacquiao never really being a big 147 pounder)? There are many more questions we could all ask about this fight, questions that will be asked for real if this fight becomes a reality. Again, we’ve seen wierder, even more unexpected catch-weight fights take place in the past. And who wouldn’t watch this fight if it happened – and pay to do so? Previous boxing news: The Floyd Mayweather who crushed Diego Corrales: Pretty enough to have beaten any 130 pounder ever?